This coming Sunday (April 21st) is Easter Sunday!! We are planning two fun events! The Egg hunt is for kids around the age of 0-8. Anyone can join the potluck party. There might be a lot of guests, so, it would be great if you could bring additional portions of food besides what you bring for your family. 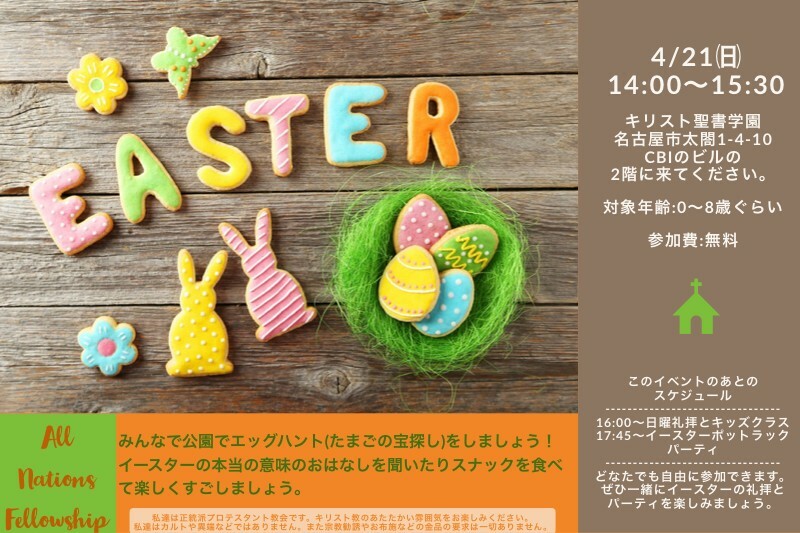 Come to the second floor of Christ Bible Institute (1-4-10 Taiko Nagoya-shi) building.